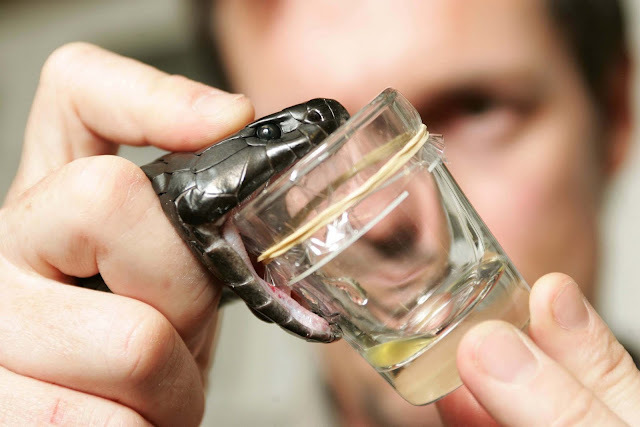 Home » Biology , Health , Science » Venom, How It Helps Us? Why Scientist Are Looking For New Source Of Venom? Venom, How It Helps Us? Why Scientist Are Looking For New Source Of Venom? Venom, Venomous; These words may make you think of a thick fluid, milk from the fangs of a dangerous snake. but the latest venom science is turning to new sources of venom: Centipedes, Assassin Bugs and Stealthy Cone Snails. With the rise of tools that let scientists explore all the proteins, peptides and small molecules that make up venom. Scientists have been able to deconstruct the potent toxic cocktails made by the world’s tiniest mixologists. Some of those include rare animals that aren’t easy to raise in the lab.most venomous animals aren’t so rare. There are more than 220,000 species that brew up their own toxic mixes - from all branches of the family tree. For a long time, researchers focused on only a small set of venomous animals: Spiders, snakes, scorpions and some cone snails looking for new therapeutics and for clues as to how venom victim pairs evolved. How does venom change an animal's behaviour? Does the killer juice make you less afraid of intimidating beasties? Why do some animals like the assassin bug evolve two venoms one for defending itself and one for killing its prey? The arms race between predator and resistant prey has led to complex venoms that are incredibly precise in their targeting, fast-acting, and potent all useful characteristics for medicines. The toxins in venoms tend to either attack the nervous system, paralyzing muscles, lungs, sometimes blinding their prey or they disrupt blood coagulation causing blood to coagulate quickly or preventing coagulation, Either can be deadly. Such venoms have helped scientists understand these systems themselves. A classic example is using puffer fish venom to find a channel important to nerve signalling. The targeting ability of these venoms and their strong effects on the body have also led to 6 venom-based drugs that have already have been approved. including a drug for diabetes from the venom of the Gila monster and a painkiller derived from the venom of the so-called magical cone snail. Now, scientists are looking to these new sources of venom like the sea anemone to treat autoimmune diseases and the deathstalker scorpion for an entirely different use imaging brain tumours during surgery. Someday, scientists might just catch up with these ancient chemists. But don’t count on it.